The thyroid has just one job, however, it is one of the most important jobs for the body to function properly. The thyroid makes hormones that regulate the energy level, metabolism, growth, and reproduction of every cell of your body. That means your brain, heart, lungs, liver, skin, tissues and other body parts depend on your thyroid to stay “powered up” and active, and to remain healthy by generating new cells to replace old ones. Thyroid abnormalities are one of the most common endocrine disorders affecting millions worldwide. The thyroid hormones interact with receptors found in the nucleus of every cell of the body and this interaction leads to the turning on and off of many genes and ultimately to the modification of many bodily functions. Therefore, it is understandable that abnormalities in the level of thyroid hormones can lead to a diverse array of symptoms involving the heart, brain, skin and reproductive systems. Hypothyroidism is the most common disorder. It is most common in women, and increases with age. In populations greater than 75 years of age, estimates are as high as 18.5%. There are also special populations with a higher risk of developing hypothyroidism including postpartum women, individuals with a family history of autoimmune thyroid disorders, patients with previous head and neck or thyroid surgery, other autoimmune disorders (type I diabetes, adrenal insufficiency, celiac disease, vitiligo, pernicious anaemia), as well as Down’s and Turner’s syndromes. The symptoms for hypothyroidism include the well-known characteristics such as fatigue, cold extremities, weight gain and poor memory. In addition, hypothyroidism is also associated with many conditions such as hypertension, cardiovascular disease, menstrual disorders, infertility, rhinitis and urticaria. Our practitioners have seen hundreds of patients presenting with symptoms of Thyroid Dysfunction. Very often having had their Thyroid tested already – with the standard Thyroid function tests (TSH, T4, T3) coming back within normal range. This is not enough information for us to truely understand if your thyroid is functioning optimally. 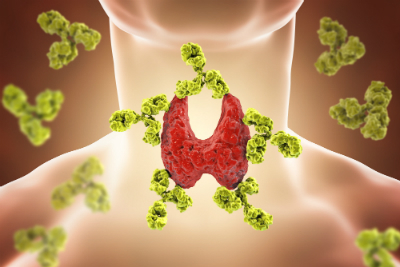 There are additional tests that are available to us, the most common ones we request for suspected Thyroid conditions include Thyroid co-factors (Tyrosine, Iodine, Selenium), Reverse T3, Thyroid Anti-bodies. These tests give us a much better idea into well the Thyroid is functioning at a cellular level. Click here to book an appointment with one of our Practitioners – let’s make sure your thyroid is doing a good job in the body!